Been a while since we heard from the DreamForge-Games crew. But that doesn't mean they've been sitting around doing nothing. They'd taken back over distribution of their products and that can be quite a busy time. They've also got a pair of new figures available. Plus, they're having themselves a sale this weekend. 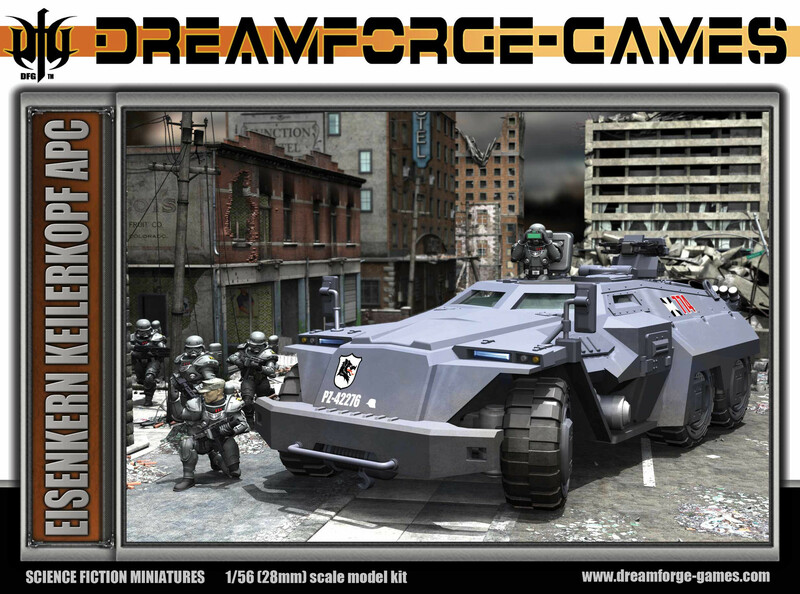 For those of you that saw my review of the DreamForge-Games APC from Saturday, you know my love of their kits. They're excellent expert-level kits with lots of details and options for your minis. Well, they're having themselves a sale for the holiday season so you can pick some up for yourself. One of my first review projects ever for TGN is still one of my favorites. 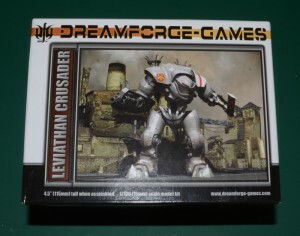 DreamForge-Games had recently come out with their Leviathan Crusader and I got one for my very own to assemble. I eventually named him Friday in honor of the day I put him together. Later on he would get an arch-nemesis in the form of Monday. Well, DreamForge hasn’t only made Leviathans, they’ve made other kits as well. Today I’m here to take a look at the Eisenkern ‘Keilerkopf’ APC. 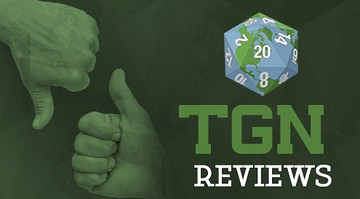 So grab your hobby knife, it’s time to head into another TGN Review. 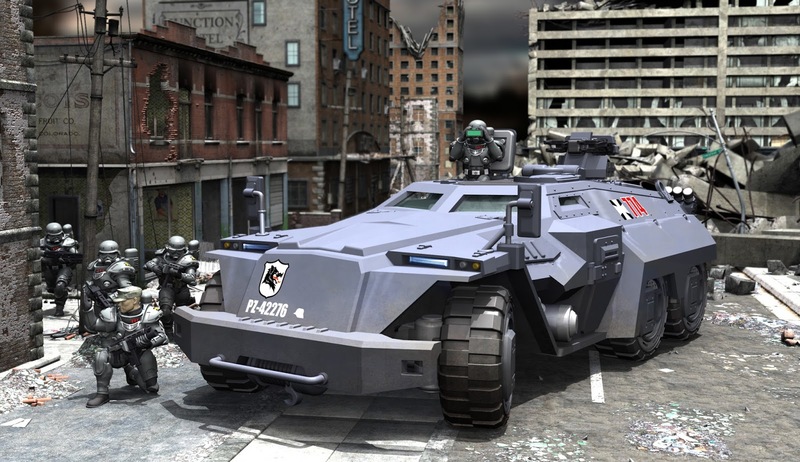 This time it’s the Eisenkern APC kit from DreamForge-Games. Do you want to pick up some new figures from DreamForge-Games? Do you want to pay significantly less than you usually would for them? Would you go to a bean-eating movie with George Wendt? Well, except for that last one, you'll want to head over to the DreamForge-Games webshop this month. 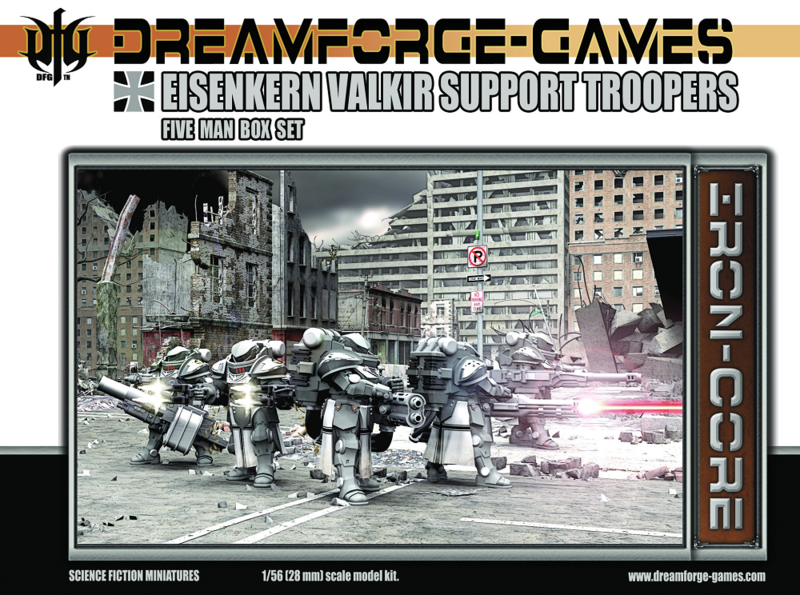 DreamForge-Games has their Eisenkern troopers boxes available, but a trooper without good leadership is not going to be anywhere near as effective. 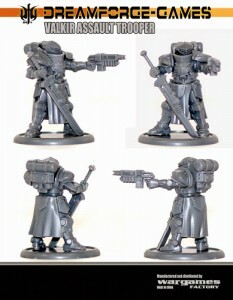 As such, they're coming out with their new Eisenkern Command Squad set. But it's not just command, there's other additions to your possible Eisenkern units that are also in this box set. 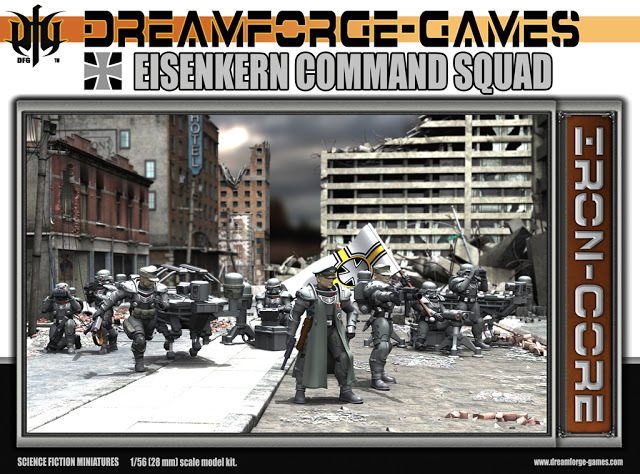 DreamForge-Games heads into May with the release of their new Eisenkern Panzerjägers squad. These badass ladies are armed to the teeth. 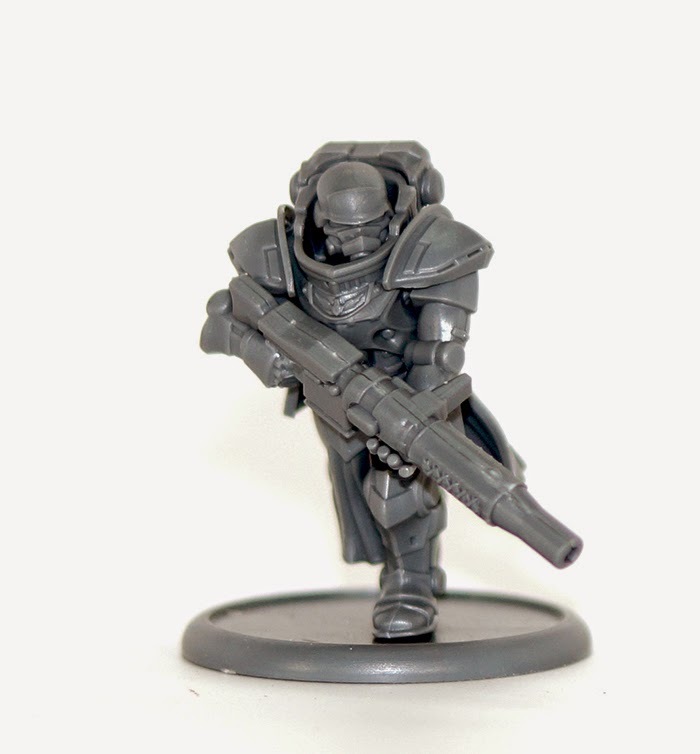 And knowing DreamForge-Games kits, there's plenty of pieces in it to work with making the squad look unique for your tabletop. In celebration of their release, DreamForge is also having a sale on their website. 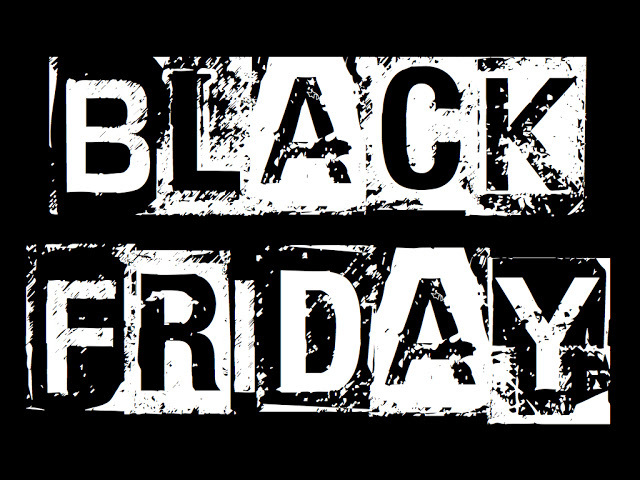 You can get up to 40% off certain products in their webshop. Stay tuned to TGN for a review of some DreamForge-Games kits coming soon. Actually, it's not so bad, honestly. And I'm sort of a wimp when it comes to needles. So if I can do it, you can, too (if you want). 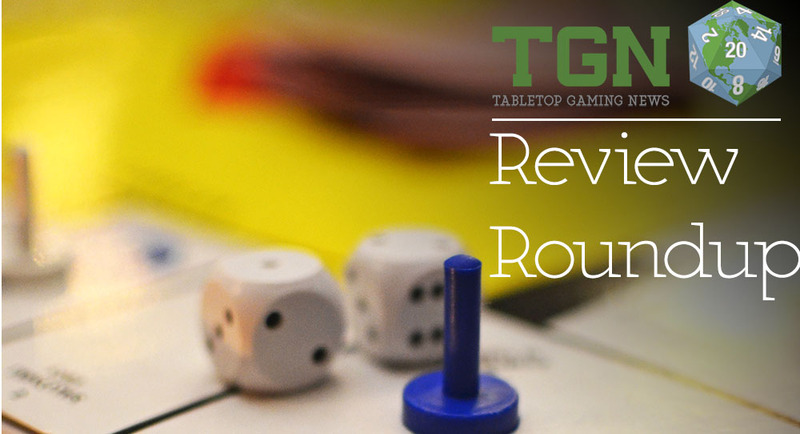 But anyway, as usual, we've got our regular feature of collecting all the review articles we found all week and have them here for you now. 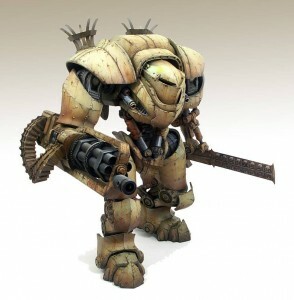 Included this week are reviews/previews of: Eggs and Empires, Meteor, Summoners Wars Aliiances Master Set, Dreamforge Valkir Assault Troopers, D&D Miniatures Ancient Silver Dragon, New Mars Attacks Terrain Sprues, March of the Ants, Bill Shakespeare Is Dead, Lords and Ladies, Find my Monsters, and Ion. 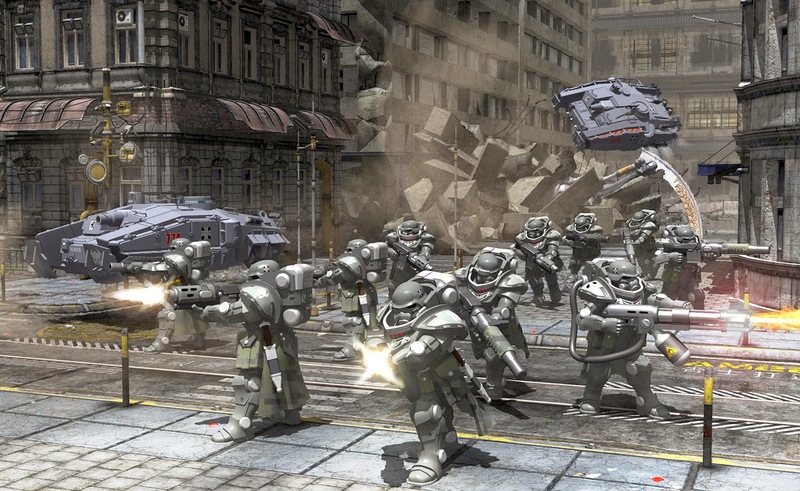 DreamForge-Games decided 1 or 2 releases wasn't good enough, so they went all the way to 13. 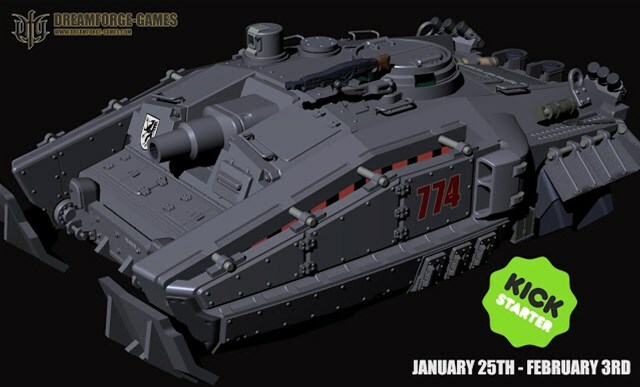 They've got 4 new 28mm kits, including the Eisenkern APC as well as 3 units of troopers, and 9 new 15mm kits, including Leviathan Mortis and a bunch of arm replacements. DreamForge-Games is showing off the artwork and renders for their Eisenkern Panzerjager Female Tank Hunters unit they're working on. All of the components can be used with the male Stormtroopers, so you can mix your squads and equipment. The original intent was to make a specific squad, the Black Widows. 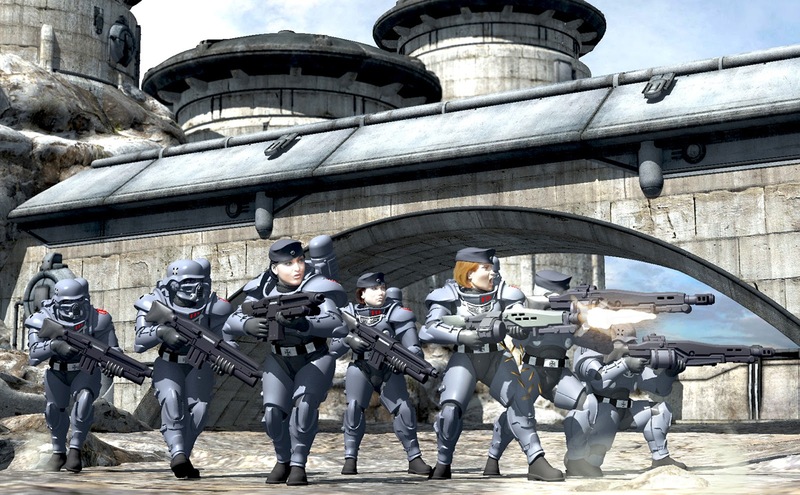 It seemed appropriate to use this opportunity to create a military Special Forces branch that could represent not only the Black Widows but Special Forces within the Eisenkern faction. 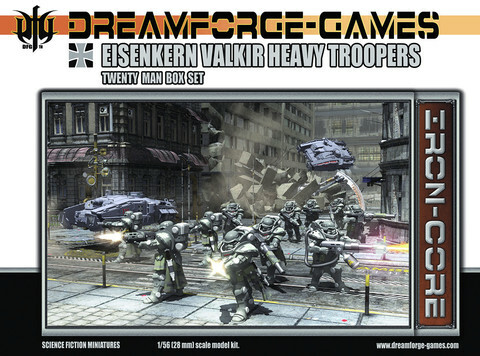 DreamForge-Games gives us a look at the Valkir Heavy Troopers box as well as a preview of the Eisenkern StuG mini they've been working on. I chose to render the box art with the rear skirt only option 'Hoth style' as I felt it helped differentiate them from the Assault and Support Valkir in appearance. This image also débuts the Eisenkern StuG, this version is the grav assist but there is also a tracked version for you tread heads. (More on that in another update). 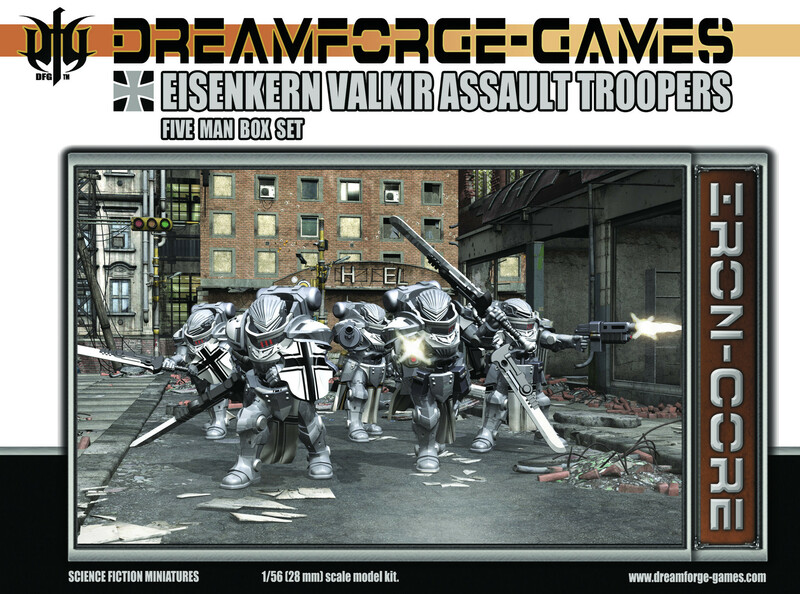 DreamForge-Games continues their Valkir previews with a look at a full Assault Trooper Squad. Today I had an opportunity to assemble a five man Valkir Assault Squad. My apologies for the out of focus guns on a few images but my camera skills are wanting. I think I will try manual focus next time and see where that gets me. DreamForge-Games posted up some photos of their first preview of the Valkir Assault Trooper minis they've been working on. I might have to get a squad to stand guard around Friday on my desk. In the last update I showed you shots of the sprues that China kindly provided me. This afternoon I received A few copies of the T1 shots and dove right in. This was the first figure I assembled because I have a test print available for comparisons. It went together with no fussing and I can honestly say it is better than my dusty test print. I was so pleased with the early T1 that I needed to take some shots and post an update. DreamForge-Games is showing off some preview shots of the Valkir Assault and Support Trooper sprues they're working on. I need to get a squad of these guys to run around Friday and attack Monday. They're also having a sale in their webshop this weekend. 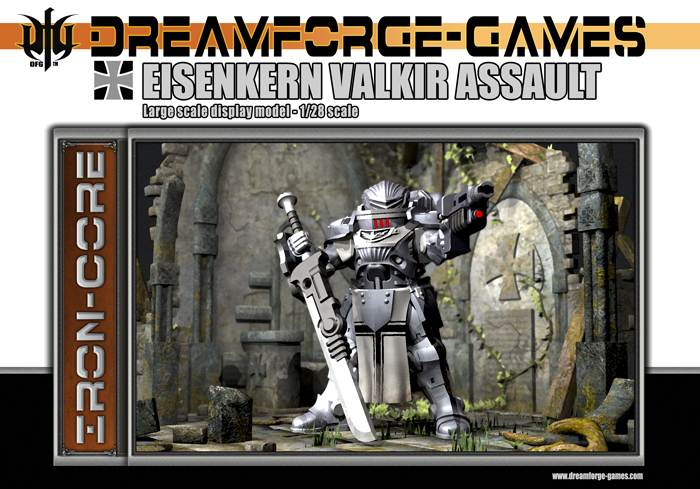 I am very happy to show you some previews of the Heavy Trooper ‘Valkir Assault’ and ‘Valkir Support’ sprues. These are T1, so there will be some cleanup and adjustments made before they are production ready. Wargames Factory China is sending me some T1’s for assembly so I hope to have some shots late next week of some assembled Valkir heavies. The 20 man Valkir set is still in milling. The APC add-on kits, the Command Squad and the female Stormtroopers are still in engineering for mold split. Brueckenkopf takes a look at the 15mm-scale Leviathan from DreamForge-Games in this review article. 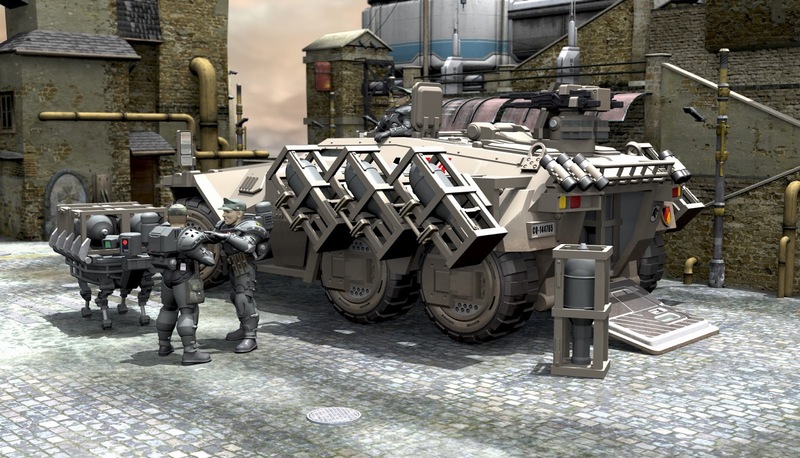 DreamForge-Games is showing off some new renders of their Zeus and Loki armored troop carriers. 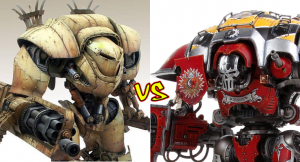 Pins of War is wondering which you guys prefer, the new Games Workshop Knights or the Leviathans from DreamForge Games. DreamForge Games is offering both their 28mm and 15mm scale Leviathans at a special price over in their webshop. My two are more than just models, they're treasured possessions. * The additional weapons arms for this kit are expected in Q2 of this year. DreamForge-Games has a bunch of 3D render previews up for their upcoming Valkir units as well as various weapon options. When we last saw the Valkir, they were nothing more than a base concept. 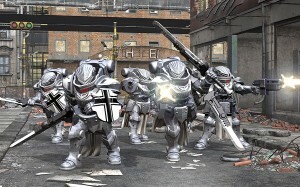 I knew I wanted power armor troops for the Eisenkern faction that represented the mid-point of advancement through the Eisenkern Ranks. A soldier that was superior but still very much a part of the core army, unlike the Knightly households ‘Ritterorden’ which operate with much more autonomy, where you find the Assault Troopers and Support Troopers.